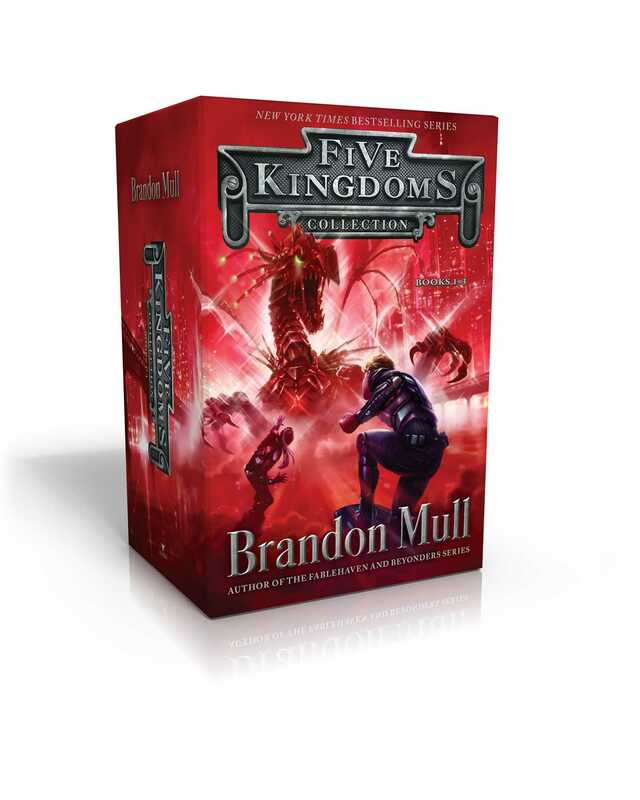 Adventure awaits in the Five Kingdoms—come and claim it with the first three books in the “fanciful, action-packed” (Publishers Weekly, starred review) series from the #1 New York Times bestselling author of the Fablehaven and Beyonders series. Cole Randolph was just trying to have a fun time with his friends on Halloween (and maybe get to know Jenna Hunt a little better). But when a spooky haunted house turns out to be a portal to something much creepier, Cole finds himself on an adventure on a whole different level in Sky Raiders. In Rogue Night, Cole never meant to end up in The Outskirts, but when his friends were kidnapped, he had to try and save them. Now he’s trapped in a world that lies between wakefulness and dreaming. Will he find them before it’s too late? Cole ventures to a new kingdom as he continues his search for his friends—and also pursues his quest to mend what has gone awry with the magic in The Outskirts in Crystal Keepers. Can he overcome the challenges ahead, or will he be stranded forever in a world between reality and imagination?